It’s funny (like in an uncomfortable, weird uncle at Christmas kind of way) how long it really takes you to unpack everything the adoption process touches in your life. Really, I’m not sure this process is ever complete, though I’m sure there are much more seasoned adoption vets who could speak to this better than I can. 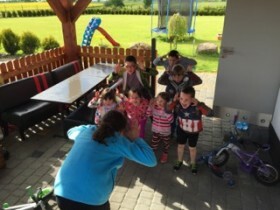 I think for me, going into this adoption, I had this naive idea we would go to Poland, pick the kids up, do our assigned time in country and come back home to life normal, just with more kids. Even writing this statement I shake my head and roll my eyes at myself. What an I-D-I-O-T I was for even coming close to thinking this! Literally NOTHING is the same for ANYONE in your family after adoption. Your biological kid’s lives will never go back the way it was. Your marriage is changed forever. Your adoptive kids may or may not understand how much has changed for them. Honestly we have really struggled with some parts of this. We’ve felt A LOT of guilt for thinking about our life before adoption in any sort of positive way. Like we’re evil if we still love some of the parts of our life the way it used to be. If you let it, the guilt of this can be overwhelming. So I’ve come to a conclusion……It’s OK to grieve. First, it’s OK to grieve your family pre-adoption. I loved our family of six. This picture is the last picture we ever took together as a family of six. I have some incredible memories with these people prior to May 26th, 2015. Sometimes I catch myself daydreaming about our life before that day – not wishing we could go back, just enjoying the feelings of joy, simplicity, and seeming ease of what our life used to be. I used to feel guilty for this, but I had to realize it was OK to remember and even grieve what this life was for us. It’s really no different to thinking about your life before any children. Amy and I had a lot of fun. We had a lot more time and money and energy. I have some great memories of our vacation in Hawaii before we had any children. What a great trip!! Later that year, Chloe came along. But I’ve never felt guilty or a need to grieve my pre-children marriage. I think this is because it’s a natural progression of life. 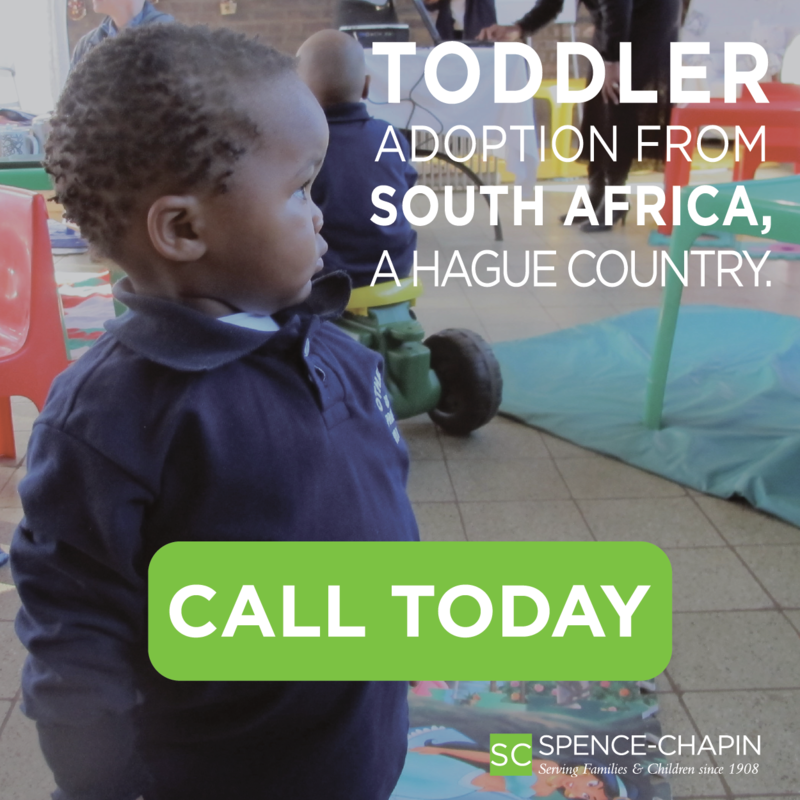 Adoption isn’t. Adoption is abnormal. It’s not supposed to be this way so I tended to look at pre-adoption with guilt. Instead I’ve realized it’s OK to grieve our previous life, to remember with fondness our family of six. It doesn’t change anything about our love for our family of ten and it doesn’t mean I secretly want to go back. I think it’s actually super important to give yourself freedom to grieve over the loss of your prior life, particularly if you’re having any kind of bonding issues – which we are. Grieving the loss of this family helped us to accept the paradigm of our new family. Once Amy and I figured this out, we were able to help our biological kids grieve this same kind of loss for themselves. Children are less mature than adults. They process the world and their feelings differently. Our bio kids, particularly the older ones, have had a more difficult time adjusting to our new family dynamics. Just by the shear size and number of children in our family, we’ve had to do many things differently than before. We’ve changed the paradigm our children had grown up with. Suddenly we’re parenting differently, we have stricter rules, our schedule is more consistent and so on. For a kid who grew up one way for ten or eleven years and now has to make major shifts (like sharing a room, having sisters, assigned seats at the table, or set chores & expectations) it can be a big leap. There have been many times one of our bio kids has expressed, with much guilt, how much they sometimes want to go back to May 25th, 2015. How much their life has changed and how hard the changes have been. For an older bio child, there needs to be room made for them to grieve their loss as well. Finally, we understand, much from our pre-adoptive reading, the need our adoptive children have to sometimes grieve their losses as well….and they’ve had many. This is the one part of grief I think most adoptive families expect. For our kids who remember their family of origin, they grieve in spurts. We’ve helped them understand when they remember something, how important it is for them to share it with us. I understand why it’s difficult, but I believe they can’t experience deep healing unless they get that stuff out of their hearts!! Often this process includes grief. For our younger adoptive kids who don’t remember life in their family of origin, they grieve their foster families. This became very clear walking into Meijer one day. We were explaining to the two little ones they weren’t going back to the home of their foster mom….like ever. They live here now. The weeping and tears were real and bitter. It was grief. It’s very natural for adoptive children to grieve the loss they’ve experienced from their family of origin, foster family, culture, etc. So how do we grieve? What would this look like in our life? 1. Give yourself permission to grieve. It’s OK…even necessary to free yourself from guilt and to accept your new family paradigms. 2. Journal. Sometimes there are things which need to be expressed from your soul which you almost can’t say. A journal is a great way to get that stuff out. It’s proven wonderfully therapeutic and helpful for my 12 year old. 3. Let your kids tell you ANYTHING and EVERYTHING they feel without fear of repercussions. Often our children don’t know what they feel and why. They need your help to process whatever’s happening inside of them. Don’t shut them down and make them feel like they can’t come to you. Give them permission to share. 4. Be patient with your spouse. They will have to grieve differently than you. Some may be deeper. Some may not grieve at all. If you’re not patient with one another through the process, you will have strife. You MUST communicate with one another. 5. Get help if/when you need it. If you’re really hung up, talk with your pastor, a counselor, or close friend who understands what you’re facing. 6. Realize it’s OK to celebrate your family at all stages. Talk about when your bio kids were babies. Tell vacation stories. Look through family pictures together. Think how illogical it would be to do anything different. Include your adoptive kids in talking about the history of their family, as if they’re a new baby coming in. They’ll be glad to be included, even though they’re not in the pictures. 7. This may be too spiritual for some of you, but give the Holy Spirit room to help you. He is the Helper, the Comforter, the Counselor, and the Spirit of Truth. Engage Him; let Him in and He will help you every step of the way. Whether it’s your grief or the grief of your children, He has the answers you need. The Spirit of the Sovereign Lord is on me, because the Lord has anointed me to preach good news to the poor. He has sent me to bind up the brokenhearted, to proclaim freedom for the captives and release from darkness for the prisoners, 2 to proclaim the year of the Lord’s favor and the day of vengeance of our God, to comfort all who mourn, 3 and provide for those who grieve in Zion — to bestow on them a crown of beauty instead of ashes, the oil of gladness instead of mourning, and a garment of praise instead of a spirit of despair. They will be called oaks of righteousness, a planting of the Lord for the display of his splendor. 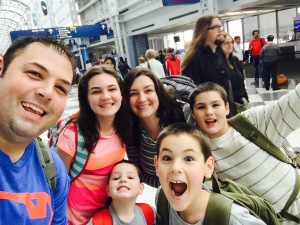 If you would like to connect with Jeff C and learn more about his family's journey to adopt siblings from Poland please contact Amanda at Children's House International.